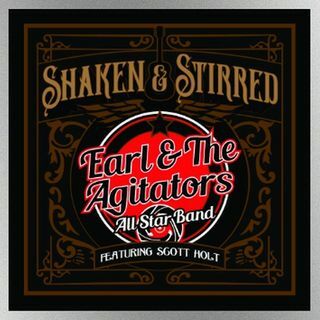 Rock n’ Roll, Blues and a dash of Country are being served “Shaken & Stirred” in the latest release by the ‘Earl and the Agitators All Star Band’. “Shaken & Stirred” (a follow-up to their 2016 self-titled EP) will be released on Friday, October 26th, 2018. Earl & the Agitators is the brain child of Foghat founding member/drummer Roger Earl, singer/guitarist extraordinaire Scott Holt (former 10-year Buddy Guy alum) and Foghat lead/slide guitarist Bryan Bassett. Rounding out the ... See More line-up for the live bonus tracks are Foghat bassist Rodney O’Quinn, guitarist Tony Bullard and percussionist Mark Petrocelli.